Energy Control Window Films – Legacy Mechanical & Energy Services, Inc. According to the California Energy Commission, around 40% of a typical structure’s cooling requirements are due to solar energy entering through glass. With proper selection and installation, window film measures can help reduce a building’s energy use and increase the overall comfort and productivity level of its occupants. Legacy has added this offering because of the immediate correlation between air conditioning load and the installation of modern window films. 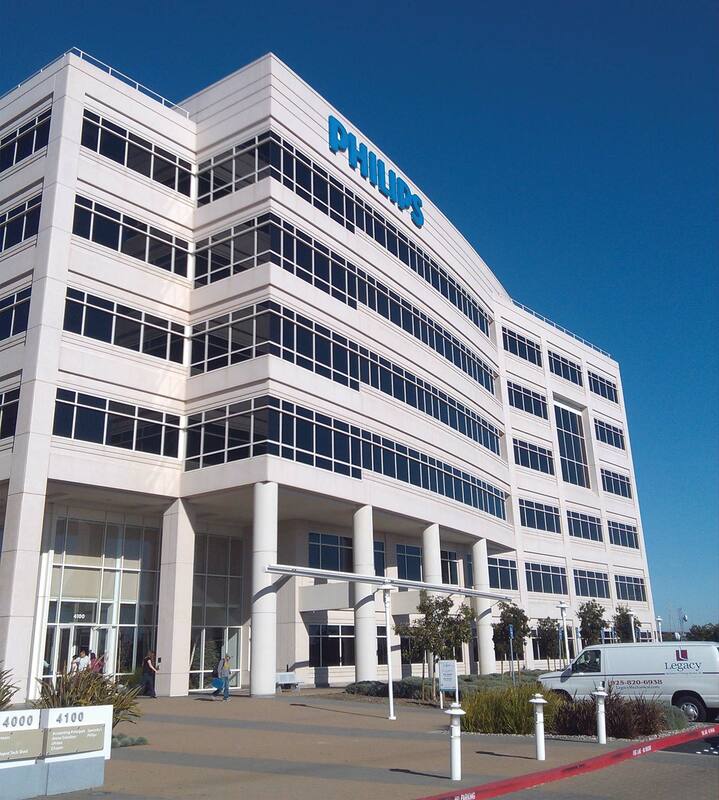 How Can Window Film Benefit My Facility? Increased shatter resistance of windows. How Can I Evaluate Different Products? Shading Coefficient. The ratio of the solar heat gain through a given window system to the solar heat gain under the same conditions for clear, un-shaded 1/8” single-pane glass. A lower shading coefficient denotes increased sun control capability. Although shading coefficients will vary according to the type of window film and glass that is being utilized, most products currently offered in the marketplace have a coefficient within a range of 0.3 to 0.7. Solar Heat Gain Coefficient (SHGC). A measure of how well a product blocks heat. A lower coefficient indicates superior performance. SHGC values for a highly reflective film can be as low as 0.26, while values for standard tinted and spectrally selective films can range from 0.4 to 0.6. Visible Light Transmittance. The percentage of visible light transmitted through a window relative to the total visible light incident on its surface. Visible light transmittance levels can reach 65% to 70% for spectrally selective films, compared to 18% to 50% for other window film products. Films with similar visible light transmission may exhibit considerable differences in solar heat gain, depending upon their composition and method of manufacture. Additional elements for customers to consider when evaluating different window film products include: exterior and interior appearance, reflectance levels, energy impact, glare reduction, installation requirements, product life cycle, safety and security, durability, and scratch resistance. How Attractive Are Investments in Window Film? 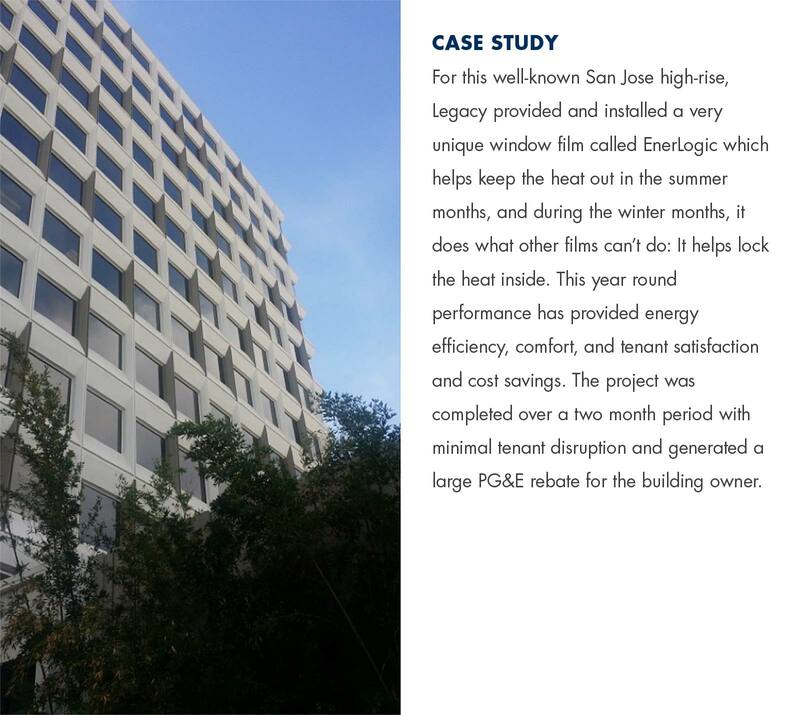 In California, where significant levels of solar heat gain during the summer can generate large cooling loads, the installation of window film at an exist- ing facility can generate significant monetary savings. Although the payback on window film measures is highly dependent upon the film type and building-specific conditions, payback periods for most commercial buildings are less than 5 years. The average life of window film is 10 years, but some manufacturers claim that products have a life of up to 20 years.